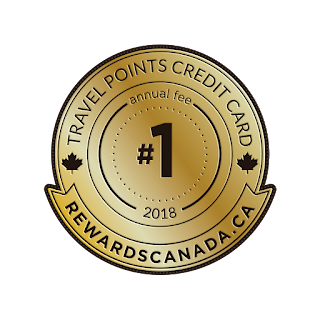 Travel Rewards Credit Cards are the prized possession of the vast majority of Canadians, providing would be travellers with thousands of dollars worth of travel perks and privileges each year. For over 10 years Rewards Canada has been helping Canadians sift through the more than 75 travel rewards credit card offerings with its annual Travel Rewards Credit Card Ranking. This year’s ranking reflects some significant changes that swept across the industry in 2017. The biggest and most exciting came with the introduction of the new ‘Millennial’ themed American Express Cobalt card. In addition to the Cobalt card, this year’s ranking has been modified to capture other changes. For example, the hotel category has been eliminated since industry consolidation has reduced the number of hotel offerings down to just two dedicated credit cards. The ‘no fee’ category has expanded to include all ‘no fee’ rewards cards (travel points, airline, hotel etc.) not just travel points. And finally, a new Coalition category ranks all reward credit cards associated with the country’s top Coalition programs including AIR MILES and Aeroplan. This change reflects the pending divorce of Aeroplan from Air Canada and formally reclassifies Aeroplan as a true coalition program (multiple earning and redemption partners) rather than primarily an airline program, which we’ve viewed it as since the inception of our ranking. The remaining four categories are: Travel Points (with annual fee), Hybrid (flexible currency), Airline and Best Overall Card. The credit cards are evaluated by key factors including cost, co-brand partnerships, rate-of-return, benefits and redemption options. Other highlights include the WestJet RBC World Elite Mastercard crowned as the best airline card in Canada. There are several reasons behind this - the move of Aeroplan to the new Coalition program category and the WestJet Rewards program getting significantly stronger in 2017 by adding redemption options on Air France, Delta, KLM and Qantas.